Kenneth M.C. 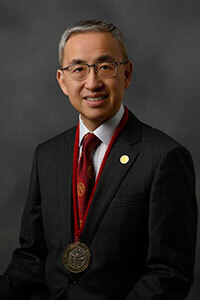 Cheung is the Jessie Ho Professor in Spine Surgery and the Head of the Department of Orthopedics and Traumatology, The University of Hong Kong. In 1987, he obtained his undergraduate medical degree at the Medical College of St Bartholomew’s Hospital, The University of London, UK. He became a fellow of the Royal College of Surgeons of England in 1991, and a Fellow of the Hong Kong Academy of Medicine in 1995. After returning to Hong Kong from the UK in 1992, he pursued both a clinical career in Spinal Surgery, as well as a research career culminating in the award of an MD from The University of Hong Kong in 2007. His research interests are in the genetics of intervertebral disc degeneration and scoliosis, stem cell regeneration of the disc, and the development of novel surgical technologies for the treatment of spinal deformities. He has been invited as visiting professor and speaker on multiple occasions to international meetings. He has published 11 book chapters and 195 publications in top scientific and spine journals, including Lancet, American Journal of Human Genetics, Arthritis and Rheumatism, Biomaterials, Journal of Bone and Joint Surgery and Spine. Professor Cheung holds 15 patents and has 16 personal and 37 team awards for research excellence. Notable in 2008, he received the Henry Farfan Award from the North American Spine Society for his outstanding contributions in spine related basic science research; in 2010, he received the prestigious ISSLS prize from the International Society for the Study of the Lumbar Spine; and in 2012 received a prestigious endowed professorship in Spine Surgery from the University of Hong Kong. He has secured multiple research grants from local, regional and international granting bodies totaling over US$5 million. Professor Cheung is the past President of the Scoliosis Research Society, as well as the Editor-in-Chief for Journal of Orthopaedic Surgery. He is also the past President of the Hong Kong College of Orthopaedic Surgeons. Previously he was the Chairman of the AOSpine Research Commission, coordinating research on a global level for AOSpine, and was the Organizing Chairman of the World Forum for Spine Research in Kyoto (2008), Montreal (2010), Helsinki (2012), and Xian (2014). Basic and clinical research into low back pain, including disease gene hunting and the molecular control of disc degeneration. Tissue engineered intervertebral disc replacement. Basic and clinical research into the aetiology of scoliosis and new treatment methods. Chan LKY, Leung VYL, Tam V, Lu WW, Sze KY, Cheung KMC. Decellularized bovine intervertebral disc as a natural scaffold for xenogenic cell studies. Acta Biomaterialia Vol 9, Issue 2, Feb 2013, 5262-5272. Samartzis D, Karppinen J, Chan D, Luk KDK, Cheung KMC. The Association of Lumbar Intervertebral Disc Degeneration on Magnetic Resonance Imaging With Body Mass Index in Overweight and Obese Adults: A Population-Based Study. Arthritis & Rheumatism. Vol 64 (5) May 2012, 1488-96. Cheung KMC, Cheung J, Samartzis D, Mak KC, Cheung W-Y, Wong Y-W, Akbarnia B, Luk KDK. Magnetically controlled growing rods for severe spinal curvature in young children: a prospective case series. Lancet. 2012 May 26;379(9830):1967-74. Samartzis D, Karppinen J, Mok FPS, Fong DYT, Luk KDK, Cheung KMC. A population-based study of juvenile disc degeneration and its association with overweight and obesity, low back pain, and diminished functional status. J Bone Joint Surg (Am). Apr 2011. 93, 662-70. Cheung KMC, Samartzis D (joint first author), Karppinen J, Mok FPS, Ho DWH, Fong DYT, Luk KDK. Intervertebral disc degeneration: New insights based on “skipped” level disc pathology. Arthritis Rheum. 2010 Aug;62(8):2392-400. 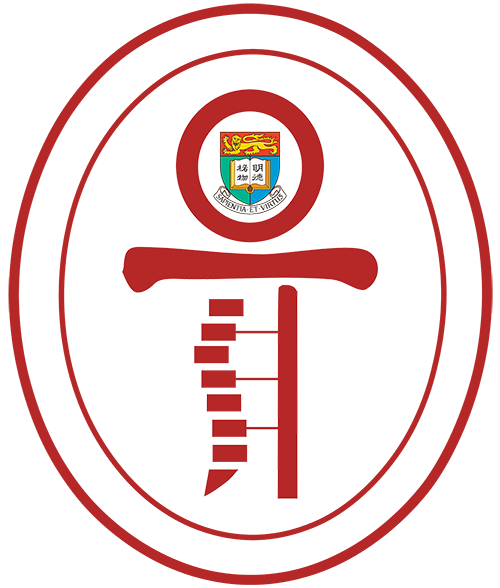 Cheung KMC, Natarajan D, Samartzis D, Wong YW, Cheung WY, Luk KDK. Predictability of the Fulcrum Bending Radiograph in Scoliosis Correction with Alternate-Level Pedicle Screw Fixation. J Bone Joint Surg Am. 2010 Jan; 92:169-176. (doi:10.2106/JBJS.H.01831) (featured article in website “MDLinx”). Mok FPS, Samartzis D, Karppinen J, Luk KDK, Fong DYT, Cheung KMC. ISSLS Prize Winner: Prevalence, Determinants, and Association of Schmorl Nodes of the Lumbar Spine With Disc Degeneration. A Population-Based Study of 2449 Individuals. Spine Vol 35(21). 2010. 1944-52. Cheung KMC, Karppinen J, Chan D, Ho DWH, Song YQ, Sham P, Cheah KSE, Leong JCY, Luk KDK. Prevalence and Pattern of Lumbar Magnetic Resonance Imaging Changes in a Population Study of One Thousand Forty-Three Individuals. Spine. Apr 2009: 34 (9), 934-940.